Hope is fading over the fate of more than a dozen coal miners trapped for weeks deep inside one of northeast India’s notoriously dangerous “rat-hole” mines — as a rescue operation hobbled by limited resources has ground to halt while rescue crews try and locate a bigger water pump. 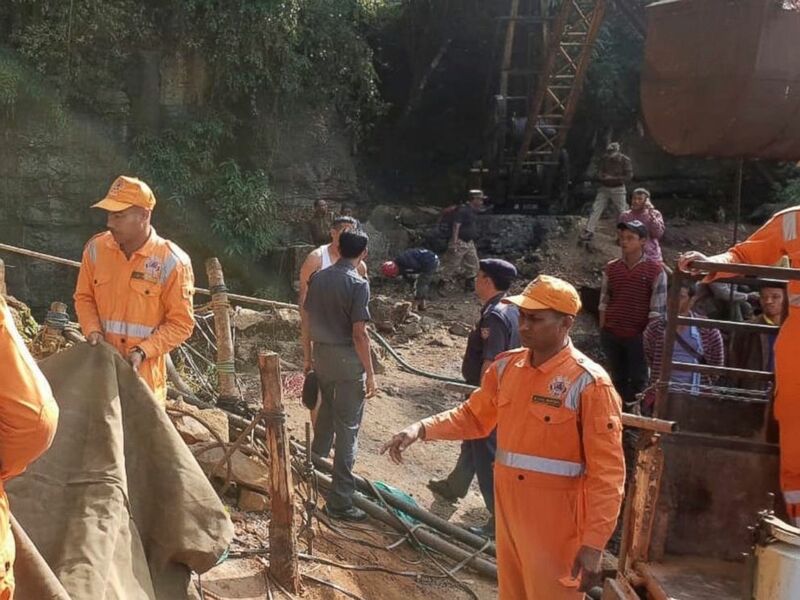 The rescue operation started on Dec. 13 when local lawmaker Dr. Azad Aman alerted authorities that 15 miners had not returned after working in a rural mine in the state of Meghalaya. 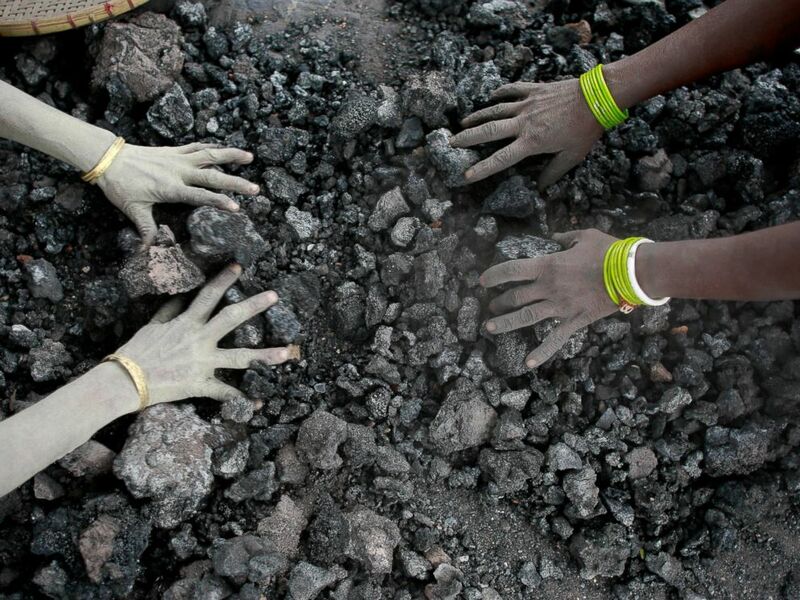 In this Monday, Dec. 14, 2015, file photo, Indian women use bare hands to pick reusable pieces from heaps of used coal discarded by a carbon factory in Gauhati, India. “Out of the 15 miners, seven are from my constituency, from my area. So when the relatives came to know about the laborers who were working there I was also informed about what had happened,” Aman told ABC News from Shillong, the capital city of Meghalaya state. Over 70 personnel from the National Disaster Response Force have been deployed in the rescue operation and state officials are on location to assist in the operation, but the operation cannot go forward without bigger equipment. Coal mining in Meghalaya has been controversial for many years. The National Green Tribunal, an Indian governing body that supervises environmental issues in the country in 2014, imposed the ban on small scale mining with rudimentary tools – which many refer to as “rat-hole” mines because of their dubious safety record. In spite of the ban, the practice is still underway. “Lots of cases of illegal mines have been registered,” said local police superintendent Sylvester Nongtynger. The coal mining industry in Meghalaya is reportedly an extremely lucrative one. A Reuters report estimated that the mines in Meghalya have 576 million tons of coal reserves. Another report in the Economic Times newspaper estimated the annual revenue to the government from coal mining to be about $100 million. After so many days, if the laborers haven’t been recovered, then at least their bodies should be located so the families can conduct the last rites and give their loved ones a funeral. Aman said that hope about a safe recovery is dwindling over time, but there is still a urgency to recovering the bodies. “After so many days, if the laborers haven’t been recovered, then at least their bodies should be located so the families can conduct the last rites and give their loved ones a funeral,” he said. Rescuers work at the site of a coal mine that collapsed in Ksan, in the northeastern Indian state of Meghalaya, Friday, Dec. 14, 2018. Natural conditions inside the mine may dash even the hope of recovering bodies. “The water inside the mine shaft can be quite saline,” said John F. Kharshiing, chairman of the Grand Council of chiefs in Meghalaya, and a mediator between local tribal chiefs and the government.